Blood Lions, a campaign that aims to end canned hunting and exploitative lion breeding in South Africa, has welcomed a move by OR Tambo International Airport to remove cub-petting images in the airport’s international arrivals corridor. On its Facebook page this week, OR Tambo International Airport posted a statement in which it addressed the removal and replacement of the panel of images, which it said had been up for more than a year. The statement also said that the images were supplied to the airport by South African Tourism. “We accept that conservationists now urge tourists not to participate in the petting of young wild animals, although we had not been made aware of this at the time that the images were installed,” the statement read. The post had received more than 130 shares and 106 positive reactions on Facebook since it was shared. The statement also said that the airport would cover the costs of removing and replacing the panel. 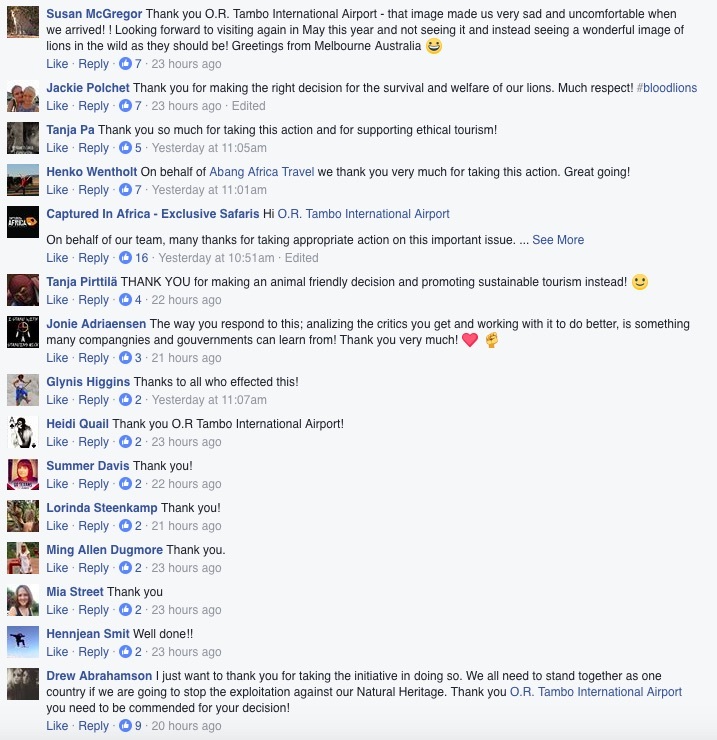 Addressing the airport’s decision, Blood Lions took to Facebook on Thursday to say that it welcomed and commended their “swift and responsible action in this regard”. “A special mention should also go to the South African Tourism CEO, Sisa Ntshona, for his immensely positive and proactive support. All parties have shown ethical leadership and have been able to base their decisions on the back of sound conservation practices and responsible tourism stands being promoted by the wider community,” read the post on the Blood Lions Facebook page. 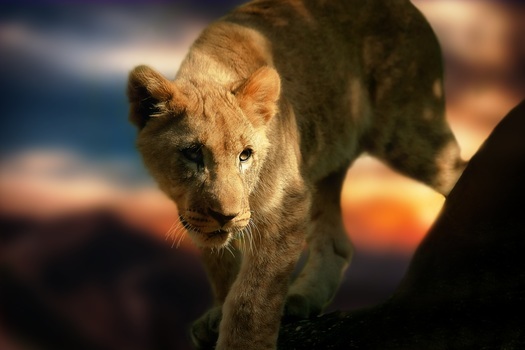 The campaign further gave thanks to its supporters for raising concern and awareness around cub petting. In December last year, Traveller24 reported that Ntshona, the newly appointed CEO for SA Tourism, had said he would work with sustainable tourism authorities and that SA Tourism did not promote or endorse interaction with wild animals, making mention of the petting of wild cats and walking with lions. The post on the Blood Lions Facebook page also received much positive feedback.